CIA Director John O. Brennan said Tuesday that the Russian military "absolutely” has the capability to invade eastern Ukraine and that only Russian President Vladimir Putin knows whether such an invasion will occur, writes washingtontimes.com. "We are at a very delicate, dynamic time,” said Mr. Brennan, who defended the CIA’s assessment of the situation and appeared eager to counter claims by lawmakers that the intelligence community failed to predict Russia’s recent invasion of Ukraine’s Crimean peninsula. "I know that many of you would like the CIA to predict the future, such as will Crimea secede and be annexed by Russia, and will Russian forces move into eastern Ukraine?” Mr. Brennan told an audience at the Council on Foreign Relations in Washington. Rep. Mike Rogers, Michigan Republican and the chairman of the House Intelligence Committee, last week ordered a review of the assessment intelligence agencies provided to Congress during the lead-up to the Russian military’s sudden intervention on the peninsula. Mr. Rogers said his goal was to identify gaps in the government’s view of Russia and the region, not necessarily to criticize the intelligence agencies. Sen. John McCain, Arizona Republican, was more explicit, asserting during a congressional hearing last week that the intelligence community’s assessments represented "massive failure” to identify Mr. Putin’s true intentions and to predict the likelihood with which the Russian military would act in Ukraine. Sen. Dianne Feinstein, California Democrat and chairwoman of the Senate Intelligence Committee, also suggested that community had been surprised by the Crimea intervention. "It should not be possible for Russia to walk in and take over the Crimea and it’s a done deal by the time we know about it,” Mrs. Feinstein told Politico last week as she left a closed-door intelligence briefing on Ukraine. Crimea intervention while the CIA suggested it may be imminent. Mr. Brennan was wary on Tuesday about the extent to which Russia may now be on readying itself to move directly into eastern Ukraine. 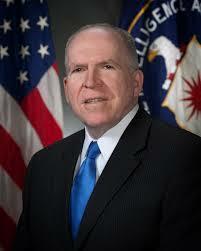 "I guess only Putin knows if he has made that final decision,” Mr. Brennan said.